With the completion and signing of share purchase agreements (SPAs) with the Assets Management Corporation of Nigeria (AMCON), Skye Bank Plc is stepping up to the level of 1st tier banks. AMCON, in a statement signed by its Head, Corporate Communications Strategy and Research, Mr. Kayode Lambo, last week announced that Skye Bank is the preferred bidder for the acquisition of the entire issued and fully paid-up ordinary shares of Mainstreet Bank. 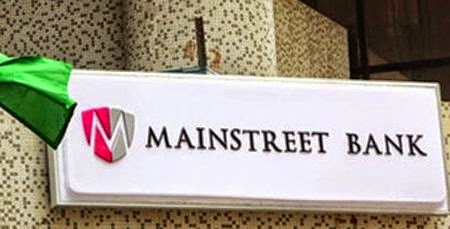 Within four days of AMCON’s announcement of Skye Bank as the preferred bidder for Mainstreet Bank, Skye Bank paid the mandatory 20% deposit of the bid price, which was the same day it signed the SPA and well ahead of the deadline, which was October 9, 2014. Skye Bank again, on Oct. 31, paid the 80% balance to complete the take-over of Mainstreet Bank ahead of the transaction deadline.